The word “wanderlust” is defined as a strong desire or impulse to travel and explore the world. 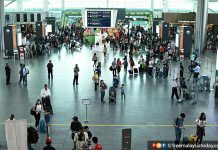 With technological advances in transportation and the widespread use of the internet and social media, this lust to visit foreign lands is compounded even further. Due to its vastness, the continent of Asia alone has plenty to offer in terms of unique culture, landscapes, cuisines, and happenings. And with proper planning, some destinations can be relatively affordable too. As for when you should travel, check out this guide to help you make the most of Malaysia’s public holidays in 2019. A bustling street in Hanoi, Vietnam. Image source: ahau1969/Shutterstock. 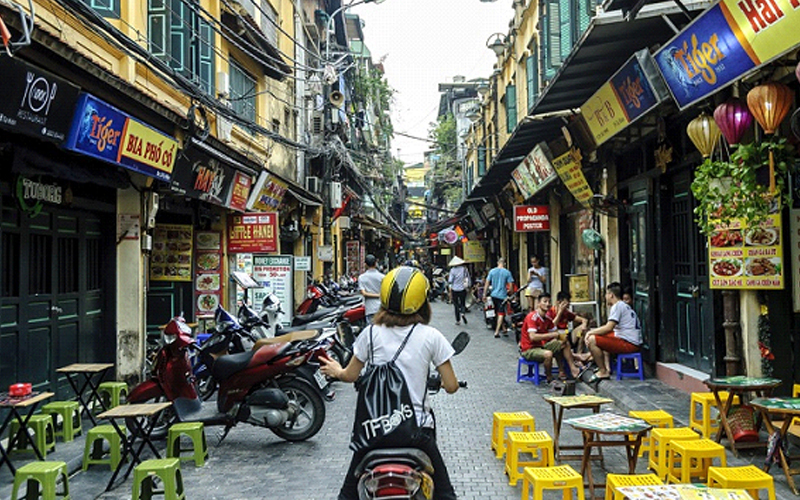 With a unique combination of French colonialism and Asian-post communism, there is plenty to discover in the city of Hanoi. 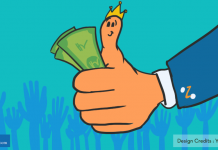 You can choose to move around via taxi, motor-taxi, public bus, train, private transfer, or even rent a private car or motorbike at a reasonable price. Accommodation is also cheap while the variety of food will keep you wanting more. 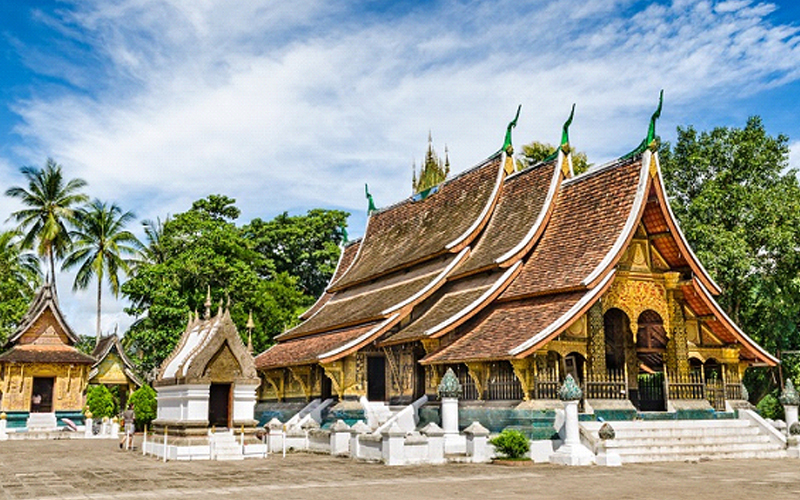 The iconic Wat Xieng Thong temple in Luang Prabang, Laos. Image source: Wuttichok Panichiwarapun/Shutterstock. Situated in northern Laos, the ancient town of Luang Prabang is considered by many to be the heart of Laotian culture. Encircled by mountains and located 700 metres above sea level at the confluence of the Nam Khan and Mekong Rivers, it was designated a Unesco World Heritage Site in 1995. Buddha statues in Seema Malaka Temple in Colombo, Sri Lanka. Image source: TRphotos/Shutterstock. If you’re a city person, the capital of Sri Lanka is one of the cheapest you can visit in the world. 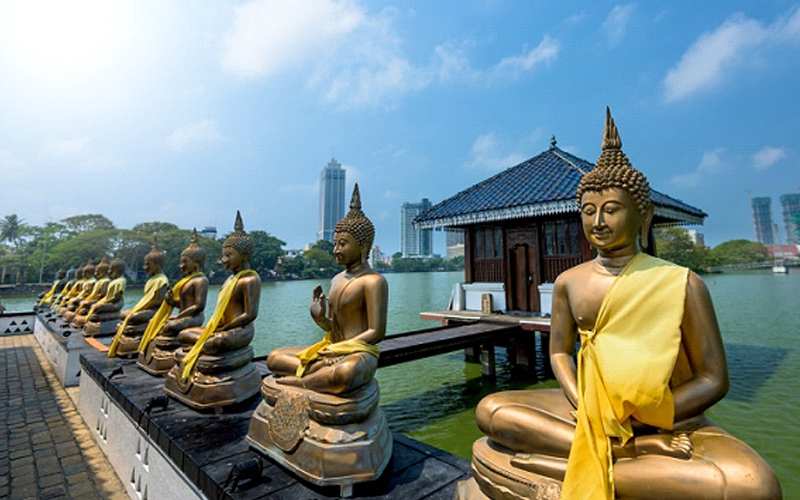 A bustling port city chock-full of history, culture and colour, a holiday in Colombo is light on the wallet and heavy on enjoyment. 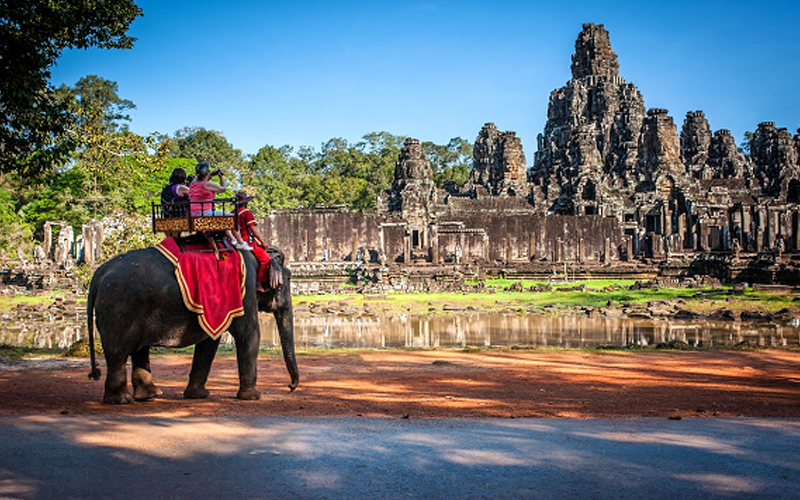 Stone Gate of Angkor Thom in Siem Reap, Cambodia. Image source: karinkamon/Shutterstock. Take a short flight to the Cambodian capital Phnom Penh and continue on a bus over to the province that is home to the internationally acclaimed Angkor temples as well as the majestic Tonle Sap Lake, largest freshwater reserve in Southeast Asia. 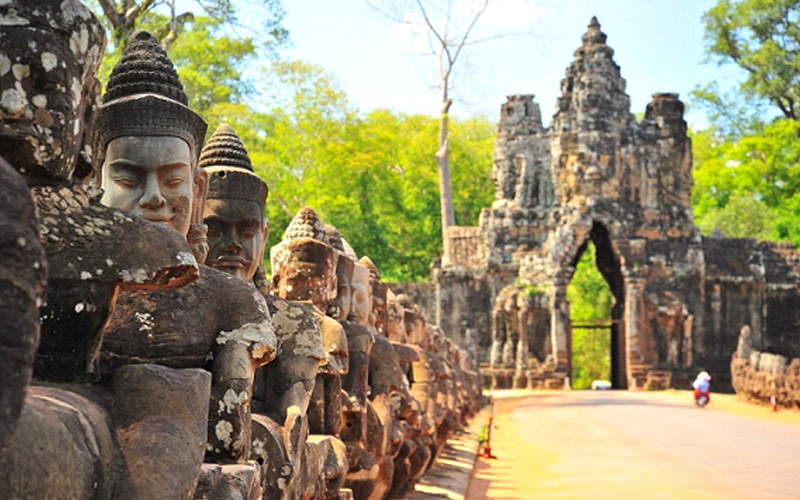 Once there, feast your eyes on the majestic Angkorian ruins, one of the most important archaeological sites in Southeast Asia and a Unesco World Heritage site. It includes world-famous Angkor Wat, a religious monument from the 12th century and the largest of its kind in the world. Taipei skyline at twilight. Image source: Sean Pavone/Shutterstock. 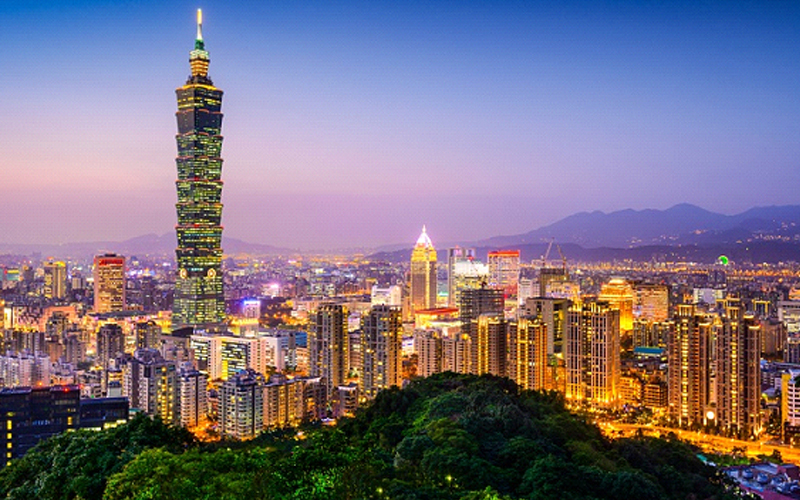 Taiwan is not just a bustling megapolis. This gorgeous island state, home to over 23 million people, is resplendent with breath-taking landscapes, iconic temples, towering cliffs across the mighty Pacific, dense jungles and culture so gracious that “have you eaten?” is how people greet each other. 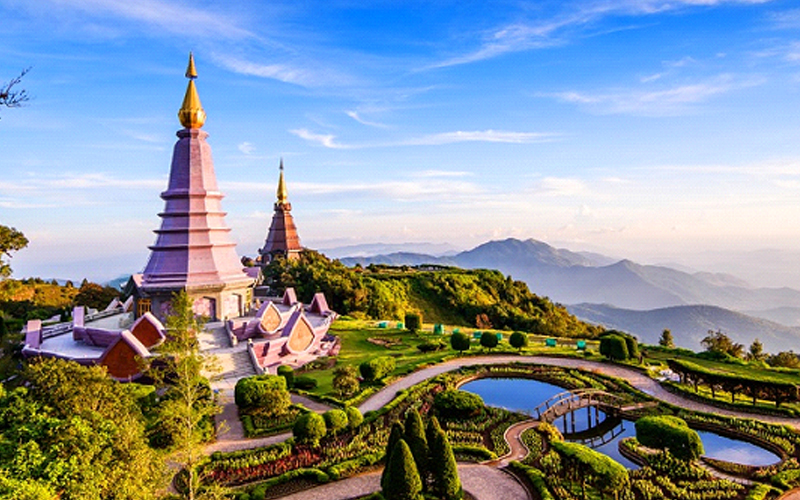 Landscape of two pagodas on the top of Inthanon Mountain, Chiang Mai. Image source: Take Photo/Shutterstock. When most think of vacations in Thailand, they usually imagine sandy beaches and clear seas. Truth is, this jewel has plenty more to offer and Chiang Mai is a testament to that. Situated at the foot of a stretch of mountains, Chiang Mai is known as the “Rose of the North” to locals. It has definite city vibes but has managed to retain a blissful, calm, and laid-back atmosphere as well. 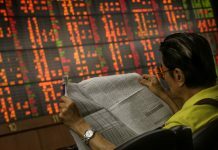 BBazaar Malaysia (BBazaar.my) is part of BankBazaar International, the world’s leading neutral online marketplace that helps people decide on financial products such as insurance, credit cards, fixed deposits, saving accounts, mutual funds and many more.